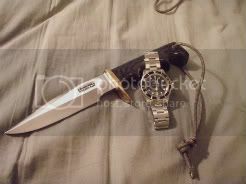 Discussion in 'Other Watch Brands' started by leopardprey, Sep 15, 2011. What are some of the best, the best, in terms of reliability watch movements you have seen? The ones that can really take a beating? Rolex? 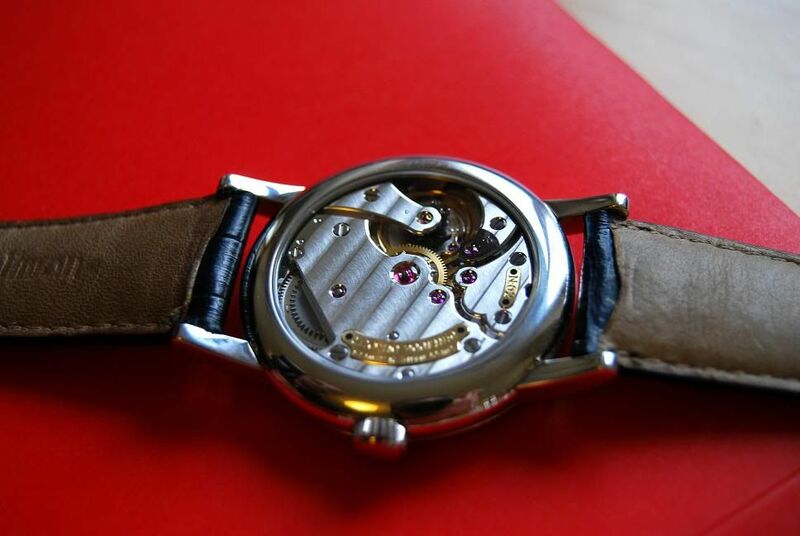 IWC 80110 (Ingenieur), the hand wound movements of your pilot watches/Panerai base models, etc.? When are you going to start making your own Archer 44-46mm Dive type watch? Or some watches with higher Water Resistance? Who/What in your opinion is the strongest Chronograph movement? Your favorite watch company (besides yours. : ) )? If you could only have one watch, besides the ones you make, what would you choose? And finally, OT, what is your favorite Bow? Wow - lots of questions, and some difficult ones too! For movements that can take a shock, a manual winding movement is theoretically going to be less prone to damage (all esle being equal). The oscillating wieght inside an automatic is a large mass that can snap off with a large shock. Doesn't matter if it's a post like Rolex uses, or a ball bearing style held on with a screw. Wear is a whole other thing though. I actually prefer a movement that stops when it needs servicing, rather than one that keeps going and going, and by the time it stops, it's worn badly in many places and needs many parts. I'm not sure I can give you a specific brand or caliber, or a definitive answer for that matter, but certainly one you mention is worthy of consideration - a manual wind Panerai with the 6497. Solid case, good water resistance, easily serviced manual wind movement. They are pretty solid. I'm currently working on a 100 m rated watch. Not a dive watch per se, but something that has more in the way of water resistance than my current line does. The dive watch market is pretty saturated at the moment (no pun intended), so I'm not sure I'll go there with a large watch any time soon - have to pick my battles with the funds I have available. Difficult question. Not sure what you mean by strongest, but the ETA 7750 is a reliable movement in my experience. I service a lot of these, in all their variations (from Omegas to Panerai, etc.). I know everyone likes to talk about vertical clutches and column wheels, but in my experience, cam operated chronographs are fine for reliability. As a matter of fact, if you want to avoid many of the pitfalls of either design entirely, look at a Seiko 6139. The actuation of the chronograph is about as simple as it gets there. I'm also a big fan of the Omega 861/1861. Valjoux 72 and variations are also quite nice when talking of vintage chronographs. Lemania 5100 are a bit of a pain, but I know collectors like them. Never had a 4130 apart, so I can't really comment on that one. If you are talking about the large companies, then JLC is probably the company I like the most watches from, both past and present. I've owned 2 of them, and have liked them both a great deal. That is the easiest question of them all. Hoyt Avalon Plus was the bow I shot my best scores with. Had the best feel of any bow I've ever shot. Anyway, hope you got something out of my replies. Thanks Al. Much appreciated, and I am sure by the other forum members. I keep in meaning to get one of your Pilot watches, and probably will when back in the USA. 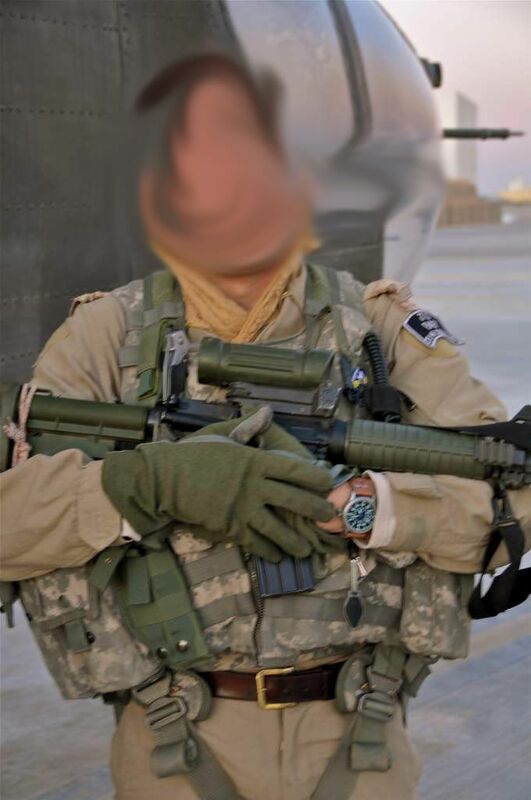 I personally think the photos and testimony of the Canadian Soldier using your watch is great, and you might want to consider putting on your web page? (with service member's permission?) I do like the sizes of your watches, 42mm and 45mm! Great lumination also! What is the difference between the Aero and the Aero II? Maybe I am missing something, but they seem the same? Let me know when your 100m WR version Pilot is ready! Please be at least 44mm!? 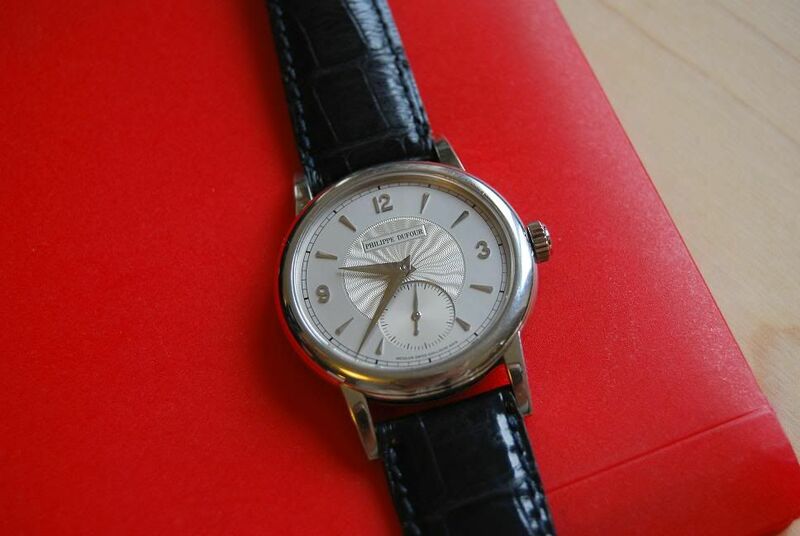 On your Aero 45, would it be possible to have the crown put on the left side of the watch (reverse the dial 180 degrees)? So as to avoid the crown interfering with the wrist? What is your thought on that? What other types of customizations or modifications can you do on your watches? Is the leather strap pictured in the photos above standard issue? The Aero has a different case. It has a double round bezel, different lug shape, and is polished on the top of the lugs and bezel, and brushed on the sides. The Aero II has a different case shape (more traditional looking lugs) and is completely bead blasted, including the crown. Destro - possible but would have to look at getting the dial reprinted. I can modify case finishes to a degree, crown types, hand types, etc. Also, many pilot versions are available with either the 6497 (seconds at 9) or the 6498 (seconds at 6). 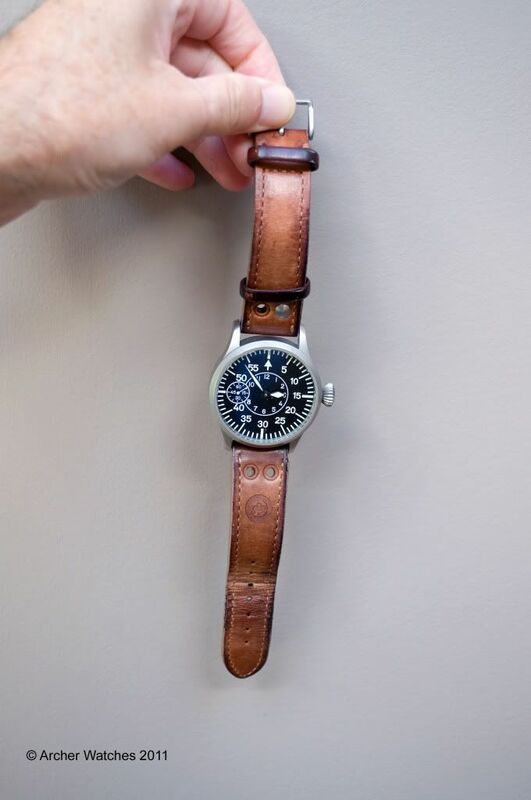 All the pilot watches come on a Jurgen's pilot strap - black or brown. The dress watches are currently on a DiModell strap. The one pictured I had custom laser marked with the Air Force roundel at the request of the group of pilots that bought them at the time. Off to walk the dog! As said, great questions and even better replies.